One of these is that bison in North America are likely to shrink as the climate warms. The reason they shrink is that as grasslands warm, grasses and other plants accumulate less protein. As a result, bison end up eating plants that are less nutritious and they don’t grow as large. This phenomenon has been studied by researching the diet of bison in herds in two different locations: a preserve in South Dakota and one in Kansas. The South Dakota preserve has a mean annual temperature more than 10 degrees Fahrenheit lower than in the Kansas location. Measurements show that mature bison in South Dakota averaged 500 pounds more than in Kansas. This is more than a 30% difference in weight. In order to understand this better, it took quite a bit of research to figure out just what bison eat. Conventional wisdom is that bison are strictly grazers – herbivores that focus exclusively on grasses. But it turns out that they eat all kinds of plants, often seeking additional protein in shrubs and forbs, so they are also browsers. Back when bison roamed the Great Plains in immense herds, they migrated as much as 1,000 miles each year seeking more nutritious plants. 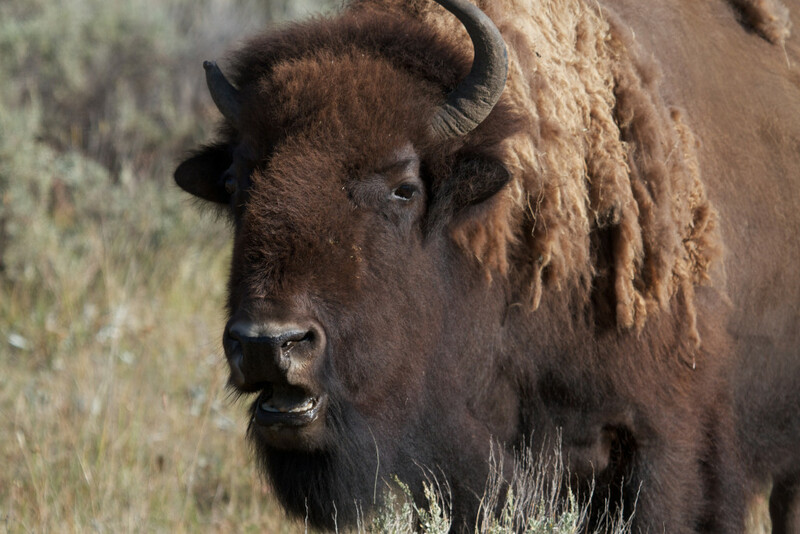 Now, the rather small number of bison live in fenced reserves and ranches and no longer can move around much. With their shrinking range and the shrinking nutritional value of the grasslands in which they live, bison themselves are shrinking. Photo, posted August 17, 2012, courtesy of Brian Gratwicke via Flickr. ‘The Incredible Shrinking Bison’ from Earth Wise is a production of WAMC Northeast Public Radio.